iPhone phone repair problems me display khali (blank) aane ki problems hona common hai. Display blank mean display screen par kuch bhi nahi aana. But mobile phone propar work karta hai. Phone bahut adhik hot or water me drop hone se kahi bar phone ki display screen or touch screen blank ho jati hai. Kuch others reason se bhi achanak display screen blank ho jati hai. LCD screen ki fault ko aasani se solution kiya ja sakta hai. 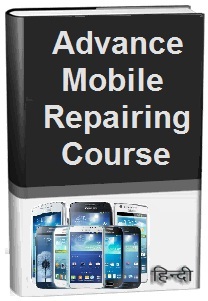 Smartphone repairing me blank display screen ki faults ko solve kaise karte hai yah hum aaj is lesson me janange. Phone ki Screen touch ke khali aane ki problem ko hardware or software dono process se solve karna possible hai. Yadi phone ki display broken ya cracked ho gyi hai to Aap ‘IPhone screen repair near me’ ya ‘cracked screen repair near me’ or ‘IPhone repair store/showroom near me’ search karke apne aas-pas locations se screen ko buy kar sakte hai. IPhone contact center se aap IPhone authorized service center near me ki jaankari le sakte hai or IPhone phone ki Screen repair karwa sakte hai. lekin aap service center IPhone jaane se pahle Apple IPhone Screen Repair Cost ki jankari internet ki help se jaan le to accha rahega. Aap iski jankari IPhone phone repair stores se bhi le sakte hai. Agar aap phone repair technician hai ya course sikh rahe hai to aap khud repair kar sakte hai. Phone me in problems se screen blank ho skti hai. Aaiya sikhte hai Blank screen problems ko solve, fix or repair karne ke aasan tips in hindi. 1. Phone ki screen par hum kuch bhi dekh nahi pate kyonki display screen khali (blank) hoti hai. Phone ko Off karke or On kare. Phone me music ki sound bajakar dekhe ki ringer work kar raha ya nahi. Kisi other mobile phone se blank display wale phone par call kare or speaker check kare. Speaker se sound aa rahi hai ya nahi. Agar speaker se sound aa rahi hai to next steps ko follow kare. 2. Phone ko open or disassemble karke display screen ko hataye or display connector ko wash or clean kare. PCB par solder display screen connector lose hai to resold kare. Agar fault solve na ho to display screen ko hatakar display section or pcb ko wash kare. Agar phone water me drop huya hai to PCB ko IPA solution water se acchi tarah se 3-4 bar wash kare. 3. Display ways connections ko Multimeter se check kare. Display screen track broken huya hai to jumpar kare. Display screen ways jumper diagram pics dekhe. 4. Yadi blank display problem solve nahi hoti hai to new display screen lagaye. Faults solve na ho to old display screen resold kare or next step par chale. 5. Ab phone me latest version software flashing (Install) kare. Notes: Display screen blank problems ko solve krne ke liye display change karne se or software flashing se yah fault solve ho jati jai. Agar pcb par display track ways broken hai to jumpar karne se yah fault solve ho jati hai. Aap Apple iPhone 6S phone repair shop se bhi phone repair karwa sakte hai. 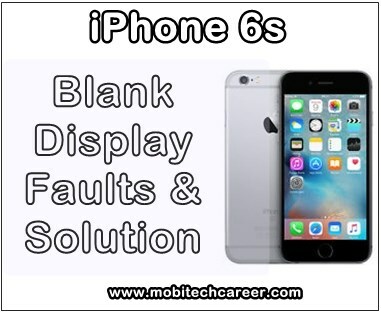 Keywords: mobile phone, cell phone, iphone screen repair, replacement, near me, nyc, smartphone, how to fix, solve, repair iPhone 6s blank display screen touch, no show display, display screen not working, black screen, half screen, problems, faults, jumper ways solution, kaise kare hindi me, screen repairing, steps, tips, guide, notes, video, diagram pictures, apps, software, pdf books, download, in hindi.